The Duke staff continues their quest to build next seasons recruiting class during today's Nike Peach Jam. The staff visited UA (Under Armor) before coming to the Peach Jam in North Augusta, S.C. While there, they took in top target Bryan Antoine. As I stated in past updates there is good reason to think that Duke can close on him with only the timeline being in question. He is great friends and talking to players who are considering making the Durham campus their home. He is also friends with Joey Baker who continues to recruit while at Duke. Duke and Coach K also took in the play of PG Nico Manion which they will recruit heavily moving forward. His teammate Josh Green has their attention as well. Coach Mike Krzyzewski and Duke Assistants Nate James, Chris Carrawell and Jon Scheyer are all making the rounds at the Peach Jam. 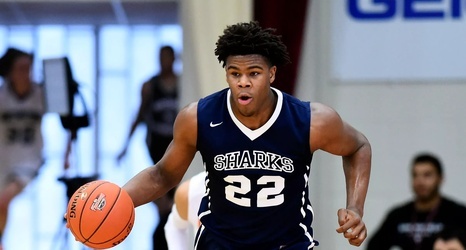 They have been zeroing in on their main targets which includes Vernon Carey Jr.
Coach K himself was front and center for Anthony and there is no let up in his recruitment despite some comments some are blowing up. Duke is still firmly on his list and that has been made clear. Duke has not exactly moved on from RJ Hampton but he has not had a lot of attention yet. Scheyer took in Jaden McDaniels fame. Duke is also looking at 2020 and other players which is standard for this late in the season as they make future lists. The staff will be out shortly and were able to get some good rest in due to scheduling where their prospects play at noon and beyond. Several former Duke players have stopped by to talk to Coach K including Rodney Hood. 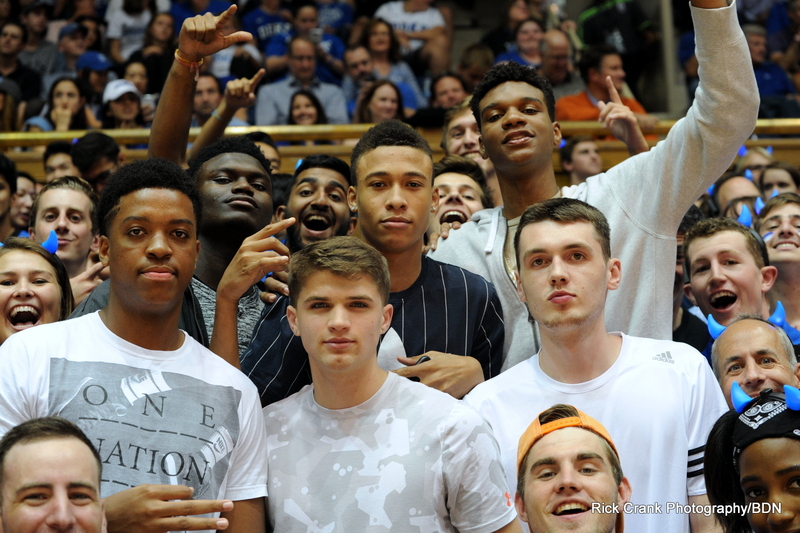 The Duke men's basketball staff has been busy of late on the recruiting trail. 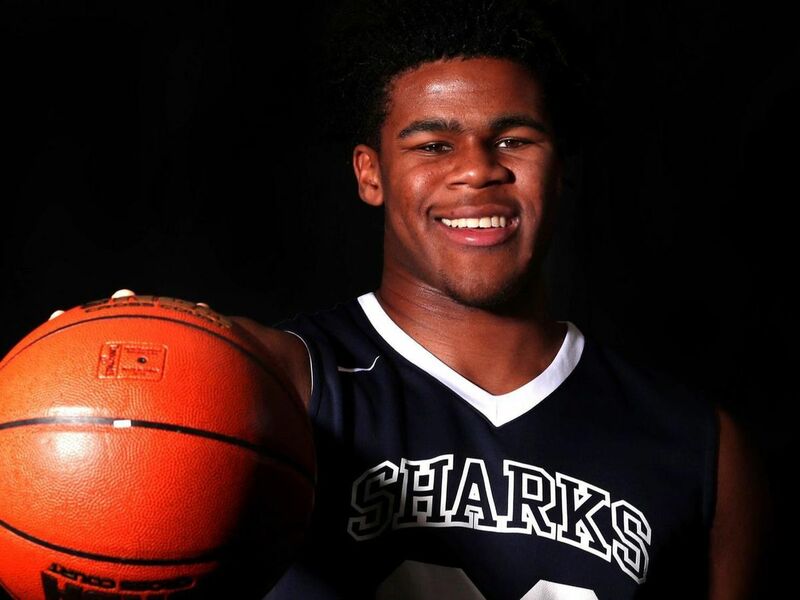 Today, Coach Mike Krzyzewski and his staff are visiting Vernon Carey Jr. in Florida. 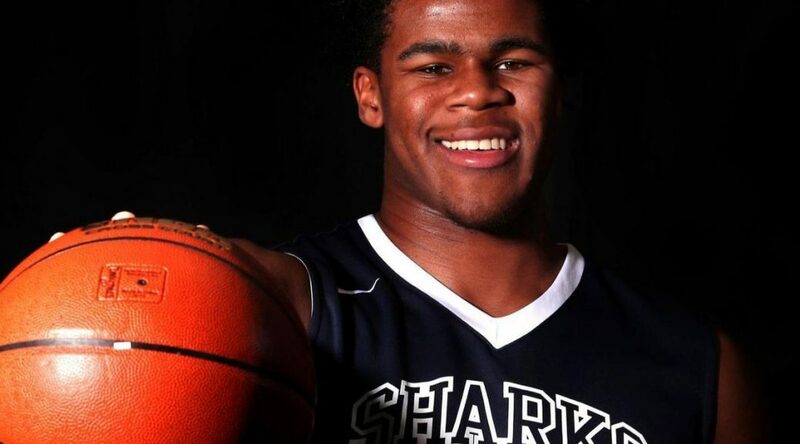 The 2019 Power Forward is s sure thing prospect. For more on who Duke has visited lately and some other interesting information on Carey, join Blue Devil Nation Premium during our two for one membership special. 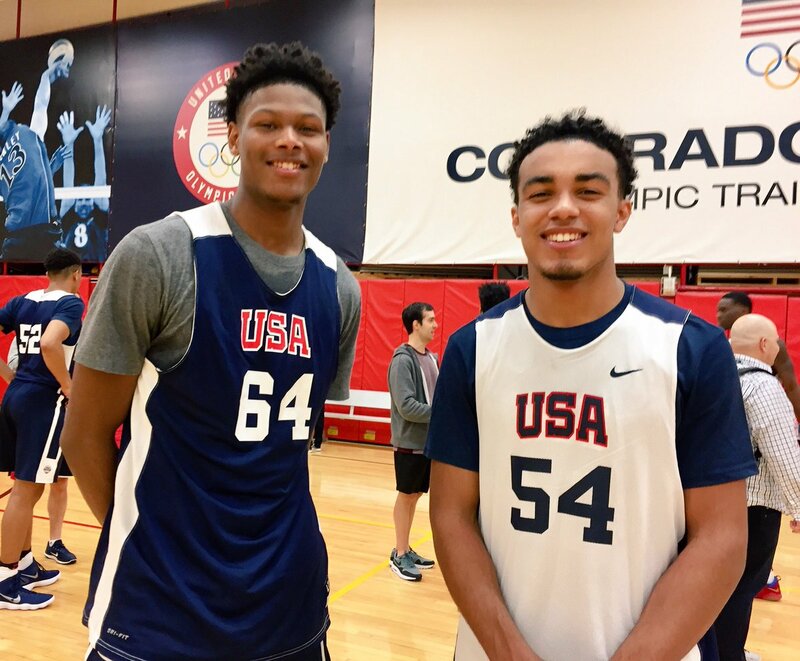 Two future Blue Devils will also be on display today during the Jordan Brand Classic which tips off at 5:00 on ESPN. Tre Jones and Cam Reddish will suit up for the moe squad in today's contest. 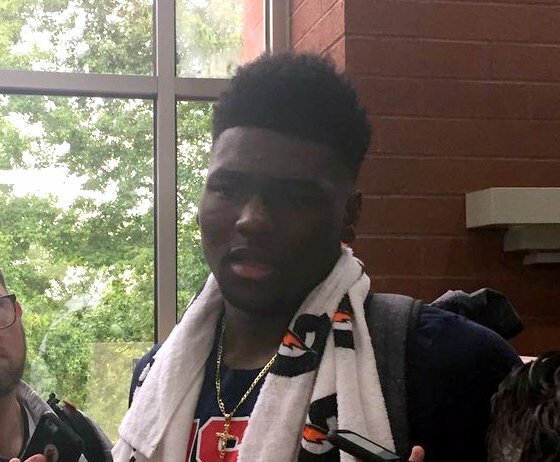 Zion Williamson and RJ Barrett were scheduled to play on the same squad but will sit out the event. Williamson has his thumb in a cast for three weeks after injuring it at the McDonald's All American game. Barrett has had an extraordinarily busy schedule and will sit out the event. All of the current Duke signees have been select to play in the Nike Hoop Summit which starts next week. Blue Devil Nation expects Williamson to sit out that event as well but it is likely Barrett will play. Duke lost Gary Trent Jr. to the NBA yesterday. 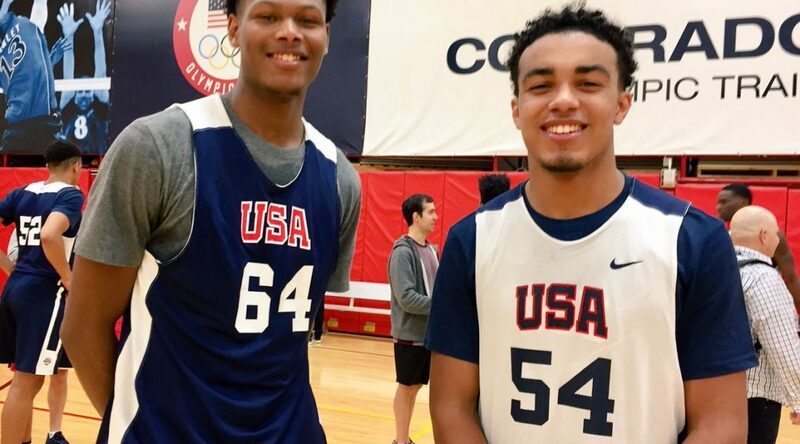 We dreamed of a rekindled backcourt of Tre Jones and Trent whom played together on the AAU circuit and in high school. But Trent is a hard worker who is mature beyond his years and ready for the challenge. Duke will miss his three-point accuracy and mental toughness. 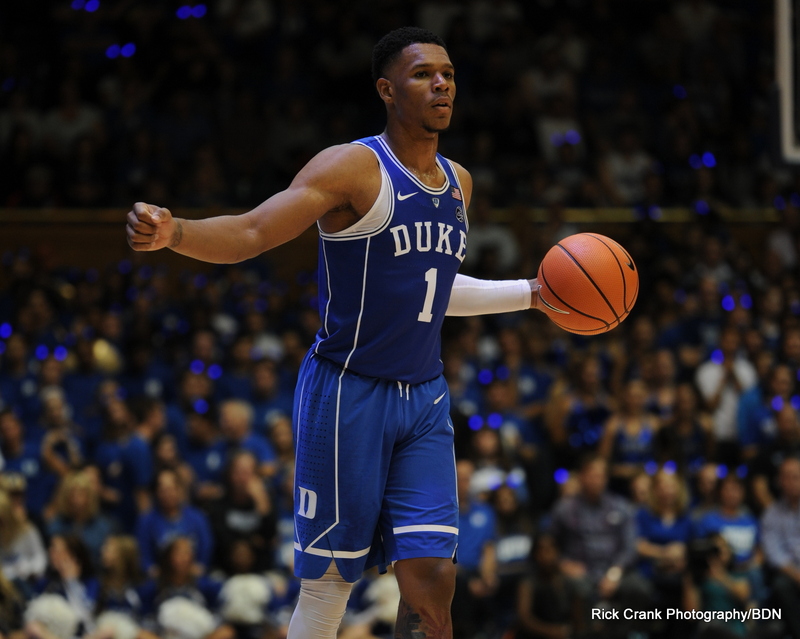 He joins Marvin Bagely III and Trevon Duval as Blue Devils who will enter the draft. 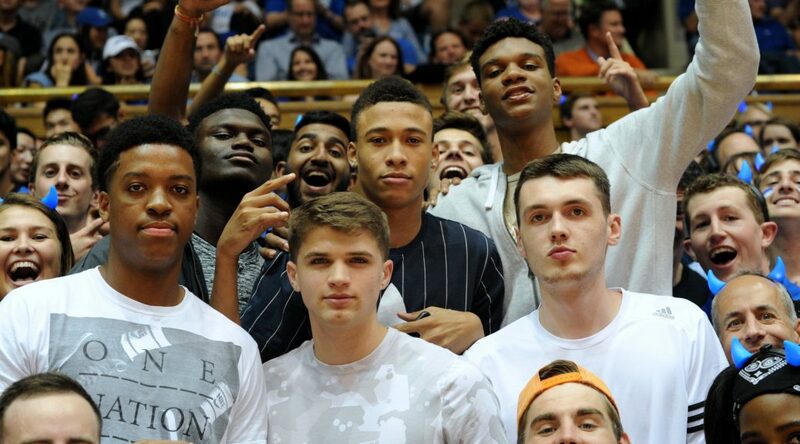 We should hear news from Wendell Carter Jr. soon. Carter is a projected lottery pick. All of these players gave their hearts and soul to Duke which fell just short of the Final Four as Grayson Allen's shot rimmed out. As for Allen, he is currently speaking with agents as are others. The off-season is a busy time for Duke Basketball. All Star games are winding down while recruiting is still going on. Duke will soon start their exit interviews with players after class completes for the semester. More on that and much else on the Blue Devil Nation message board. In short, Duke Basketball never stops. Article appears on members message board.